With so many people searching online for all types of businesses, from restaurants to auto mechanics, it is very important for businesses to invest in search engine optimization (SEO) to ensure that they can be found online. Shockingly, many businesses will invest in several digital platforms to promote their business and drive traffic, but SEO is not an area where most businesses choose to invest. A recent survey from Clutch found that only 44% of businesses invest in SEO, but more than 70 percent of businesses invest in digital marketing through social media (81%), website promotion (78%), and email marketing (69%). Every bit of digital content created by a business, including blogs, web pages, and social media posts, can benefit greatly from effective SEO. Search engines like Google rank every bit of digital content and if your content is not properly optimized, it will not rank very well. When businesses invest in SEO, they can greatly improve the performance and ROI of their social media marketing and website promotion. 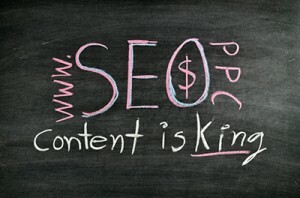 A solid SEO strategy is built upon quality SEO content writing. Search engines have gotten much better at identifying quality, user-focused content and it is this type of content that gets the highest rankings. As you form the SEO marketing plan for your company for 2019, you must emphasize the importance of content marketing and focus on creating quality content for your audience. Creating quality, user-focused content across all of your digital channels, including your website, blog, and social media profiles, will help you rank higher and drive more traffic for an improved ROI. The following are tips to help you create quality SEO content for your audience in 2019. Remember, 2019 is the year to focus on user experience so make sure you keep this in mind when creating content for your website, blog, and social media posts. You can also enlist the help of a professional digital marketing agency to help you plan, schedule, and create highly effective content. 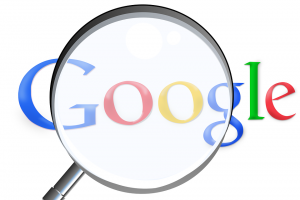 Over the last several years, Google has implemented updates to its algorithm that rank content on its quality and value to its users. 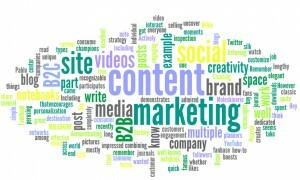 Long gone are the days of writing content stuffed with keywords to get people on to your page. 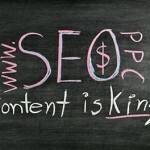 Search engines now give priority to content that delivers value and answers the search queries that real people enter. This has caused keyword stuffing to become an archaic SEO practice. Your goal now should be to create quality content tailored for your audience that will not only get people on your page, but keep them there. Audience research: Determine what type of people make up the audience interested in your product or service and find them online. Social media offers you a great opportunity to find and connect with your audience and get to know their demographics and preferences. You can even create a survey to find out more. Keyword research: There are several tools available that you can use to find keywords and phrases that are relevant to your products or services. These tools also identify keywords and phrases that your audience actually uses. Topic research: The targeted keywords that your audience uses to conduct their searches will give you insight on the type of information they are looking for. You can use this to create content based on topics that are of interest to your audience. Before leaving the topic of keywords, it is important to address the importance of long-tail keywords. In the past, businesses and marketers have used simple keywords such as “mold removal” to optimize their content. These short keywords and phrases do get a lot of searches, but this makes the competition for these keywords very high. Using long-tail keywords such as “how to remove mold from my bathroom” may attract a lower volume of traffic, but it will attract more people looking for this specific information. Search engines will recognize the value of this for its users and give your page a higher ranking. Long-tail keyword usage is also important in regard to voice search which will be explained in more detail below. A larger percentage of online searches are being done with voice search through voice user interfaces (VUI) on smartphones and smart speakers like the Amazon Echo. Voice search hasn’t taken over for traditional searches yet, but this trend is expected to grow significantly over the next couple of years. Optimizing your content for voice search now will put you ahead of the trend. Know the questions: Most voice search queries are entered in the form of questions. This makes it important to know what relevant questions are being asked in these queries so you can create content that answers these questions. There are tools available to help you discover the questions being asked, including Answer the Public. Use long-tail keywords: Unlike traditional search queries, voice search queries resemble real conversation because people are speaking into their devices. People don’t speak using short phrases and broken sentences, they speak in complete sentences and questions. This is another important reason to use long-tail keywords. For more on voice search optimization, check out our blog Voice Search: SEO Tips for Local Businesses. The highest-ranking SEO content all shares one major characteristic, it is very readable. When your content is readable, users that land on your page will stay on your page and read what you have posted. Search engines like Google will notice the amount of time that users spend on a particular page, which is referred to as dwell time. High dwell time tells the search engine that your page is relevant and includes the information the user was seeking. Clarity: Make sure the information you present is as clear as possible. You don’t want users guessing what you mean. Organization: The information should be presented in an organized way that makes sense. Using headings, sub-headings, and bulleted lists will help you organize the information and break down the page into easy to consume sections for your readers. Logic: There should be a prevailing logic behind your content to help keep your writing focused. Simplicity: Simpler content can be read and understood by more people. Google’s focus on content quality has led to a trend of creating longer, more detailed blog posts and web pages. Longer content that explores a topic in depth is more likely to contain the information that users are looking for. 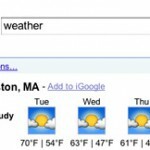 Therefore, Google will give priority to longer, more detailed content. Go beyond Google for your research, look for sources from industry publications and even scholarly sources. Improving the page speed on your website is an easy way to boost the performance of your content. In 2019, users will not wait for a page to load when there are so many other options, especially when searching on mobile devices. Make sure your website loads in less than 3 seconds and always optimize it for mobile devices. It has been shown that web pages and blogs that contain an image will always get a lot more views than those with no image. There are stock images available that are free to use, but many of these images are overused and they are not of very high quality. It is worth investing in paid images of better quality to make your web page, blog, or social media post look more professional. Many paid image sites are also quite affordable. One of the main goals of SEO content writing is to establish your business or brand as an authority within your niche or industry. When you produce content that contains relevant facts or figures, it is important to cite the sources of these facts. It is too easy for anyone to put facts on the internet without backing them up. By backing your facts up with the relevant sources, you will gain trust from your audience and show that you are an authority on the subject. Featured snippets have been gaining a lot of attention in the last couple of years and they will only become more important in 2019. Featured snippets are the blocks of text that appear at the top of a search engine results page (SERP) that include information that directly addresses or answers the search query. 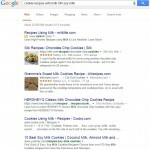 These snippets are organic and they appear above every search result, including the paid ads. When a user enters a question into voice search, the answer is usually a featured snippet. Getting a featured snippet for your web page or blog will significantly improve your click through rate (CTR) as these snippets take traffic away from the top organic result. Anyone can get a featured snippet and they are not permanent. Therefore, if there is a featured snippet that you are after that already exists, you can take its place by producing a better answer to the search query. 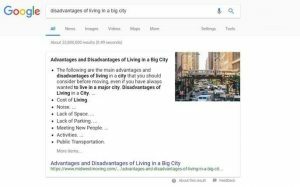 Check out our blog What is a Featured Snippet and How Featured Snippets on Google Can Benefit Your Company’s Online Visibility to learn more about the importance of featured snippets. As mentioned earlier, citing your facts and figures can help build trust among your readers and establish your brand as an authority. Including data from original research is even more beneficial. When you put original data and statistics in your blogs and web pages, you are providing valuable content for your audience and giving others in your industry the opportunity to cite your work. This will help build your reputation as an authority within your industry. 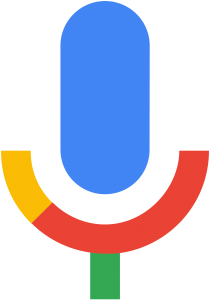 It bears repeating that your SEO content strategy for 2019 must be user-focused so that you create content that is readable, well optimized for long-tail keywords and voice search, and above all, valuable to your target audience. Google especially has emphasized the importance of providing content that is valuable for its users. Therefore, the more value Google finds in your content, the better it will rank your content and the more traffic it will drive to your website. Remember to apply this content marketing strategy to all of the content your brand creates, including your blog, website, and social media posts. If your business needs assistance creating and implementing an SEO strategy to improve the performance and ROI of your content, call our SEO experts at Proceed Innovative. We specialize in helping businesses create a solid SEO marketing strategy that includes everything from website design and optimization to content creation. You can call us at (800) 933-2402 to learn more.